There may come a time in your life where living at home isn’t as easy as it used to be, you start to consider the options that are available for you to be safe and comfortable. We understand that there are benefits of staying in your own home instead of relocating. After all, there’s no place like home. Elgar Care offers a high-quality service to facilitate your holistic needs. Live-in care is the perfect alternative to Residential Care, as your home is full of wonderful memories shared with your loved ones. 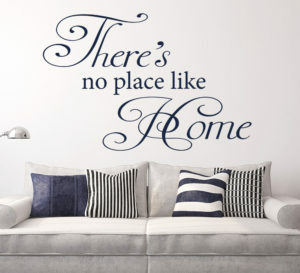 Your surroundings are sentimental, your home is where your heart is. So why would you choose to live somewhere else. You will meet the carer(s) who will live with you at an initial assessment to ensure that the carer(s) are the right ones for you. The carer will live with you on a 2-3 week basis and alternate between a second carer. Our Live-In Carers will be of the highest standard, and will be able to support you in all areas of your needs, from personal care, helping you prepare meals, ensuring you can attend social activities you are interested in. Our Live-In care service will give you and your family peace of mind. As well as providing companionship and specialist care. We will always provide you with a high quality 24-hour Live-In care package, the package will be tailor made for you, and the cost will depend on the level of requirements to meet your needs. This will all come through meetings and assessments to ensure the correct level of care is put in place. Live-In Care is a cost-effective way for you to stay in your own home and be comfortable with your surroundings. If you require more information, or would just like to speak to someone regarding what you need, please call us on 01432 507560 or alternatively please email live-in@elgarcare.co.uk and we will help you on the right path. Or you could click on the button below and contact us through here. Do you want to discuss things further? Please do not hesitate to get in touch with us, we will be more than happy to help you with your enquiries.